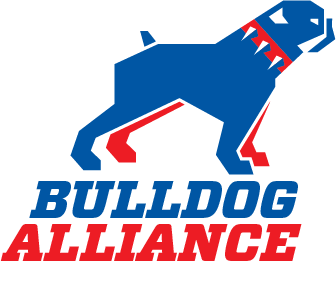 Join the BULLDOG ALLIANCE and help ensure Louisiana Tech's future! The budget crisis in Louisiana is very real and as a result, Louisiana Tech could face unprecedented damage. We find ourselves today on the threshold of a budgetary crisis that could cripple higher education in the State of Louisiana and could destroy the momentum and ability of Louisiana Tech to produce the graduates and economic development impacts needed to sustain a healthy and progressive workforce. Now, more than ever, Louisiana Tech needs the collective voice of its alumni and supporters to be heard throughout the state and to advocate for our beloved university. The Bulldog Alliance is an organized and collaborative effort to communicate, through clear and unified messaging, the undeniable value and impact that Louisiana Tech and its graduates have on our state. Joining the Bulldog Alliance means you are an active part of our communication strategy with leaders and decision makers. All alumni, benefactors, business and community supporters, industry partners, and higher education advocates are welcome and encouraged to join us in our fight for the future of Louisiana Tech University. Please fill out the form below. Your support is so important to this and many ongoing efforts throughout this legislative session. The clock is ticking and we need you NOW! Please join the Bulldog Alliance TODAY!